Home » Blog » Entertainment » What Channel is ESPN on Frontier? What Channel is ESPN on Frontier? Finding the right TV channel you want can be a hassle. There are just so many channels and entertainment options available out there. 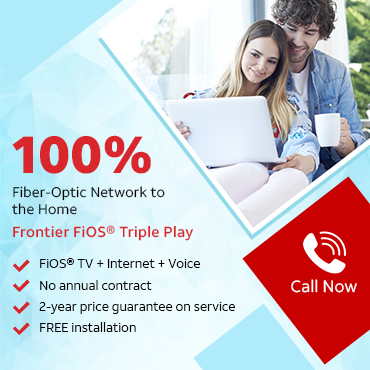 With Frontier cable, you can get overwhelmed by the sheer volume of available channels. You may find yourself wondering ESPN on Frontier so you can get your sports to fix. And if you’re a regular TV viewer, you’ll be wanting information on other popular channels as well. These channels vary from city to city and state to state. If you don’t have a TV guide, this can be overwhelming. But this blog will try to help you by gathering several channel positions in one place. Let’s begin. ESPN is a leading sports network, not just in the US, but globally as well. Viewers tune in to ESPN to catch the best action of current sports events. ESPN also offers to programme other than broadcasts of live games. It features sports analysis, talk shows, and even docuseries on famous athletes and events. Some of the most popular shows include Around the Horn, First Take, Hall of Fame, and Sports Center. This programming is in addition to all the live sports broadcasts. There are a number of channels that operate under the ESPN umbrella. These include ESPN, ESPN2, ESPNews, ESPNU, ESPN Deportes, and ESPN Classic. You can find them at channel number 70(570), 74(574), 72(572), 73(573), 1520(1537), and 310 respectively in California. This should answer your questions about ESPN on Frontier. ESPN2 originally started out as a sister channel targeting an audience base consisting of young adults. However, by the mid-‘90s it had become a second outlet for mainstream sports coverage. ESPNews offers news and updates on the latest in the sporting world. ESPNU primarily covers athletics at the college level. ESPN Deportes offers sports content in Spanish language programming. Finally, ESPN classic is a video on demand service. It features replays of famous sporting events as well as documentaries and movies. You may need Frontier internet plans to use this VOD service. But sports is not all you want to watch on cable. You may be looking for a premium dose of entertainment as well, like HBO. What Packages Include These Channels? But sports is not all you want to watch on cable. You may be looking for a premium dose of entertainment as well, like HBO. It is a premium entertainment satellite and cable channel. In fact, it doesn’t get any more premium than HBO. Owned by Home Box Office Inc., the channel is now part of AT&T WarnerMedia. HBO is already popular thanks to originals like Game of Thrones, The Wire, The Sopranos, Curb Your Enthusiasm and Deadwood. HBO also offers a huge on-demand video library through its two apps HBO GO and HBO Now. It may be a good idea to look at Frontier internet plans for these two apps. This is because both these apps only run on the same internet connection as your cable subscription. To find out HBO on Frontier feel free to visit our blogs section on the subject. All HBO channels are only available with the top-tier TV Ultimate packages. Check out the complete Frontier channel lineup in your area, for more details on what channels you get with your package. Frontier Communications is the 4th largest DSL provider in the United States. The company initially serviced rural and smaller communities during its early years. Now Frontier serves 38 states including California, Florida, Oregon and Connecticut. The provider also offers digital TV and phone services to its customers along with high-speed internet. Frontier TV packages are some of the most popular options in the areas they cover. With Frontier, you can either subscribe to individual services or go for one of their amazing packages. What makes these packages attractive is that you are not bound by an annual contract. Other great features include HDTV, fast Internet, and quality phone services, all wrapped in one deal. Besides that, it offers Double play and Triple play bundles. Explore our other blogs for more information on more premium channels like STARZ on FiOS. Keep following this blog to receive more updates on packages, channels, offerings, and deals. Get all this as well as the latest news and events in the world of Frontier. Let us know if you found this blog helpful. Previous PostPrevious What Channel is Fox on Frontier? Next PostNext What Channel is Showtime on FiOS in different states?